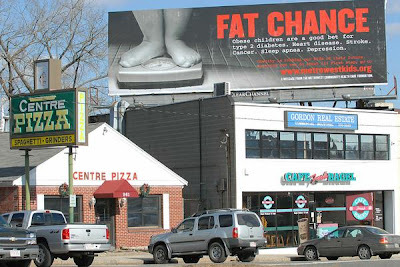 There was a lot of press around these "Fat Chance" billboards in Boston 'burbs last year. Me? I like how it's right above the pizza joint.